Winter 2013 was a dark, dark time for me, and it didn't help that it was literally dark outside all the time. While Calculus was going along just fine, Eco-Cinema gave me a daily panic attack because of the onslaught of dense reading we had to do for class or due to the constant reminders of a final project that I had no idea what to do about. And then there was CHEM 152, which I honestly thought I was going to fail. The first midterm went terribly for me, where I barely pulled out above the average; it's probably the worst I've ever done on a test. On top of that, the labs were more difficult than the previous quarters, and since every lab was a take home lab report, the added work began to pile high. But then about halfway through the quarter, life suddenly took an upswing, and I rode that wave of good feeling all the way out to the end of the quarter. Winter 2013 showed me that not only is it a good idea to study really hard for your tests instead of just skimming through the practice problems and that sometimes you're going to get terrible professors (*cough* *CHEM 152* *cough*), it's integral (oh Calculus) that you barrel through and don't give up. Because while it's true that on this crazy 10 week quarter system you don't have a lot of leeway to mess up, a lot can also happen in a short amount of time, so it's best not to give up hope. 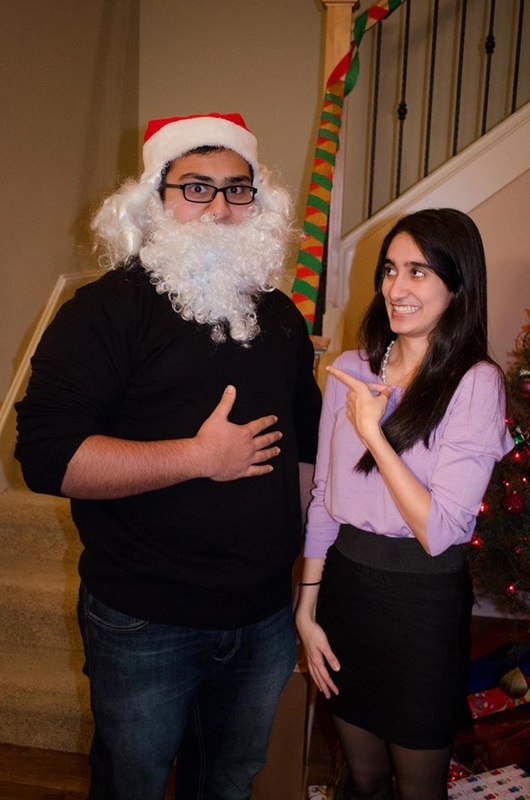 And in the spirit of winter, here's me at a Christmas Party playing the part of Casual Santa.